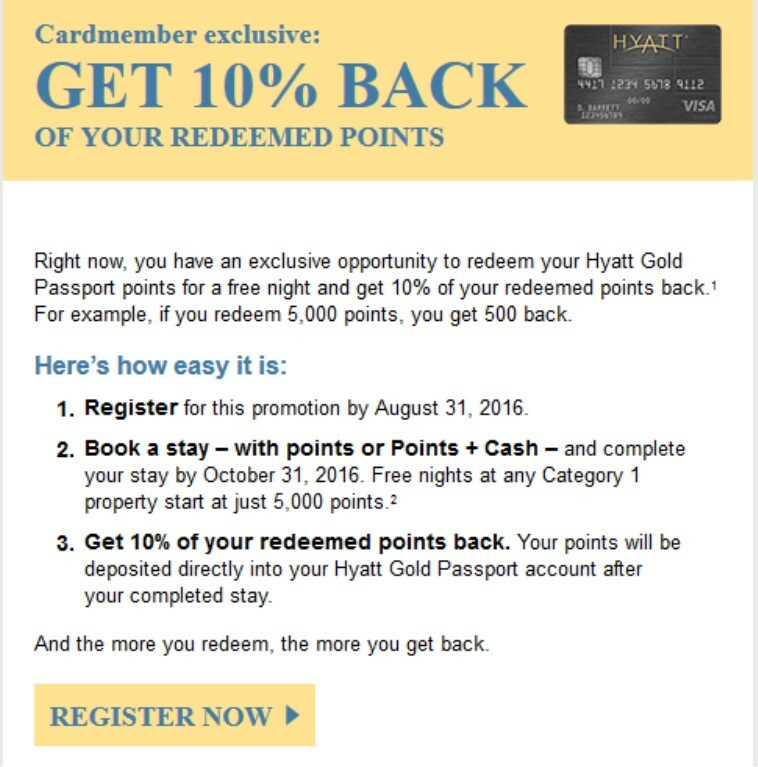 Today Hyatt announced a way to get 10% back on redeemed points to those who carry its co-branded credit card. Just register for the promo by August 31 and complete a stay by October 31. Once your stay is completed 10% of the points you spent will be returned to your Gold Passport account! And this works on both points-only and cash+points stays. If you hold the Hyatt credit card from Chase, check your email for a registration link.